Hair transplant surgeries have become very common in this modern era. Few years back, only a few people or celebrities would undergo hair transplant surgery; passing time has proved hair transplantation a boon for big count of people facing hair loss/baldness. Over the time, India has become a major hub for cosmetic surgeries, hair restoration and multiple other medical treatments. Because of the good quality results & affordable price range, hair restoration treatments have become famous in cities like Ludhiana, Bhopal, Lucknow, Dehradun, Jammu, Nagpur, Allahabad, Jaipur etc. 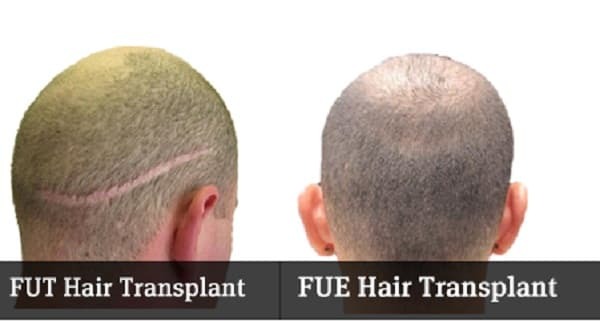 FUE hair transplant is actually a minimally invasive technique due to its quick recovery time and excellent natural looking results. PHOTOGRAPHS: When the patient visits the clinic for consultation, all the doubts of the patient are cleared by the surgeon and photographs of the head are taken from all the pre defined angles, for post surgery and analyzing the results. These pictures are clicked by the team with a special camera and the collection is given to the patients with all the steps of treatment. MARKING OF THE DONOR AND RECIPIENT AREAS: The hair transplant surgeons initially mark the donor and recipient regions so as to perform the procedures of extraction & implantation in the precise manner. After marking both the areas, the donor area is partially or fully shaved for improved visibility. EXTRACTION FROM THE DONOR AREA: The donor area is the region from where the hairs are extracted after applying the local anesthesia. The hairs from the donor area do not have the propensity to fall as they don’t acquire the genetic code for baldness. Extraction is done by an instrument called “Punches”. The count of hair follicles that can be extracted in one day is about 2000 – 5000 follicular units. It also varies from patient to patient, based upon the individual characteristics of hair. PREPARATION & STORAGE OF FOLLICULAR UNITS: Apparently after extraction, the hair follicles are stored in a specified solution, ensuring that they are strong and active. These units are hydrated in an ideal room temperature until the procedure of implantation gets completed. The proper preparation and preservation of the follicular units are extremely important for achieving the successful results of hair transplant. BREAK: The time taken to complete the hair transplant procedure might take around 6 to 8 hrs depending upon the number of grafts. As the patient is administered local anesthesia, a break is given between extraction stage and beginning of implantation. Light meal is given to the patient in the break averaging up to 30 minutes. IMPLANTATION: During this phase, anesthesia is locally applied to the recipient area. The incisions are exactly same as the length of the follicular unit; this is to avoid lesion of the blood vessels. These incisions ensure the right angle and direction of hair growth which are same as that of natural hairs. The surgeon then carefully implants the follicles using Puncher, looking into the depth of hair extracted, the direction and inclination. The procedure may take around 6 to 8 hours or more than one sitting depending upon the number of grafts. POST PROCEDURE: The transplanted hair falls in and around 3 to 4 weeks after the surgery. Once the shedding stops, the new hairs start to re-grow which are permanent. The patient can notice the natural hair growth results after 3 – 4 months. It takes around 8 to 10 months to get the complete growth of hairs with thick density. For the purpose of getting excellent outcomes, you should go through the pre & post surgery instructions in advance. 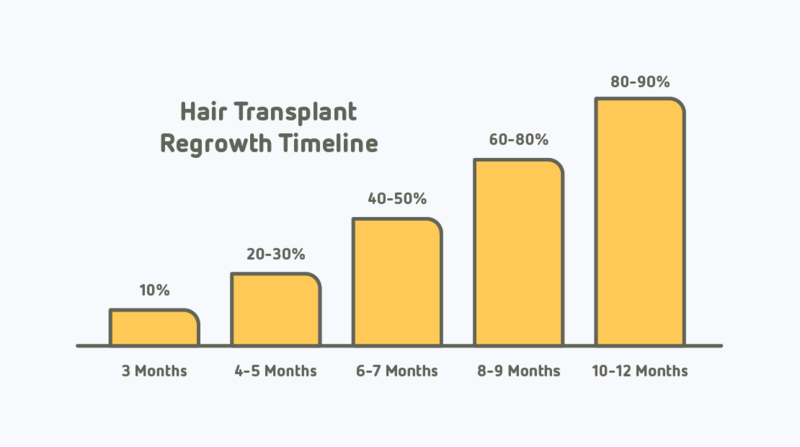 How to Speed Up Hair Growth after Hair Transplant Surgery? 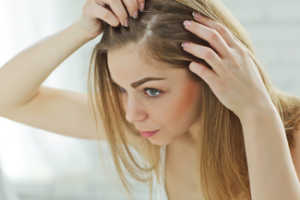 In the modern era, a large percentage of young people is undergoing chronic hair thinning problem leading to partial or total baldness in both men and women. In many cases, people do not get rid of baldness in spite of intensive medical treatments. 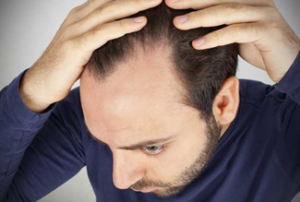 As baldness is considered to be a sign of aging, many people can undergo depression as well. The premature baldness also causes erosion of self-confidence. Medical treatment is effective only for hair loss that occurs due to illness or poor nutrition. But for permanent baldness due to heredity, commonly known as male/female pattern baldness, can only be resolved through surgical hair restoration treatment. 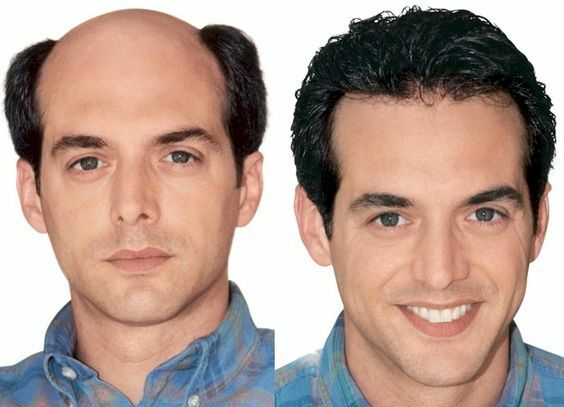 Hair transplant is such a surgical method which helps to eliminate bald patches on scalp and provides long-lasting & natural hair growth results. A common query among the upcoming hair transplant patients is how to speed up the hair growth after a hair transplant surgery. According to the American Academy of Dermatology, natural looking new hair growth may take about 6 – 8 months. However, after a successful hair transplant, proper care & maintenance is must, as it would help to achieve expected results by promoting faster hair growth. It is advised to treat your scalp gently after the hair transplant procedure. Always use the medications that your doctor has prescribed for you. Do not apply too much pressure on the operated zone of the scalp while using medications as it may disturb the sections of transplanted hair. Carefully use a gentle shampoo to cleanse the area around the hair follicles as per the permission and guidance of your doctor. Avoid rubbing movements by applying light touch to disperse the shampoo. Don’t expose your scalp under strong water pressure; instead rinse the water gently over the scalp. Pat your operated scalp dry with a soft towel after shampooing. You may suffer from slight itching and scabbing around your transplanted hair. Hence, always keep your fingers away from your healing scalp and avoid scratching your scalp or picking of the small scabs. For at least seven to 10 days, you should avoid doing all heavy physical activities like jogging, bicycling or playing any kind of outdoor sports. This resting period will help in the improved growth of transplanted hair on your scalp. The doctors will also recommend you to limit your weight lifting activities right after hair transplant surgery. A variety of healthy food items should be consumed as a balanced diet; because a good nutritious food will enhance your hair growth results. The University of Maryland Medical Centre suggests that consumption of healthy diet with antioxidant foods like blueberries, squash, peppers, cherries and tomatoes will help you in regeneration of hair. Just avoid eating allergenic foods such as soy, diary, wheat and also food additives. Drink plentiful of water- at least six to eight glasses every day. You may treat your scalp to a gentle massage only if your doctor gives you the permission to begin manipulating the area around your transplanted zone. You may prepare a mixture of three drops of the essential oils of rosemary, sage & peppermint; and stir these with 1 tbsp. of olive oil. Researchers of the University of Maryland Medical Centre reveal that these essential herbal treatments help in stimulating new hair growth. Use this oil mixture on your scalp once or twice a day. You may take advice from your doctor about using Minoxidil which will help in faster growth of your hair. Follow the label’s instructions or your doctor’s recommendations while applying this solution on your clean scalp. Do not forget to wash your fingers well after applying Minoxidil to your new hair. Surely, now you have gathered some significant ideas about speeding up the hair growth after hair transplantation. We recommend you to follow your doctor’s instructions thoroughly for achieving the best results from your hair transplant procedure. If you still have any doubt regarding hair transplantation, then you can ask your queries by contacting us or visiting First Choice Hair Transplant Clinic in Ludhiana. Many human beings are commonly afraid of a hostile hair brush as it leads towards hair fall. As a matter of fact, loss of hair follicles has become an extremely common phenomenon as far as India is concerned. Hair fall is considered to be a menace in India, considering recent past. Increasing number of human population irrespective of age has been suffering from loss of hair and this remains to be an alarmingly true fact! However, the experts have observed that a certain amount of hair fall is very common in the human beings. But the unnatural loss of hair is not at all a good sign; and therefore needs to be redressed with an immediate precautionary measure. Hair Transplant – How can you control hair loss through specific technologies? Follicular Unit Extraction (FUE) is one of the most suitable technologies in hair transplantation and it is greatly effective in order to control loss of hair. Most of the hair transplant doctors believe that this method remains to be an everlasting approach for treating hair loss & baldness. FUE has been known to produce remarkable results in both men & women, especially when loss of hair has grown to be a cause for constant worry. Consult your Physician in case you are planning to go for FUE Hair Transplant! It is always recommended that you should consult a good physician in case you are suffering from excessive hair loss problem. 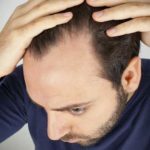 Although hair transplantation with latest techniques has now become a minimally invasive procedure, it is always better to take preventive measures before you decide to go for the same. It is important to note that the health practitioner will do an in-depth examination/analysis of your hair & scalp. This will enable the doctor to advise you that whether you should go for the hair transplant surgery or not. Since FUE is a minimally surgical intervention, there are a few guidelines that you need to follow in order to make the process successful. The overall objective for going into the procedure needs to be a positive outcome, which can generate a total and permanent solution towards hair loss. It means that you need to take into consideration the instructions which are being given by the hair transplant surgeons/dermatologists; so that the surgery can be successfully performed. Here in this blog, we are providing you a list of few pre-operative instructions which need to be followed before undergoing the process of Follicular Unit Extraction. • Refrain from smoking for minimum 2 weeks before the confirmed date of surgical hair restoration. • Avoid alcohol and associated drinks for quite a few weeks prior to the hair transplant surgery. • Get the required blood tests done and carefully follow the regime of consuming prescribed medicines. • Avoid aspirin and different blood thinners for some time prior to the surgery or as suggested by your surgeon. In the process of FUE, the first step is to administer local anesthesia. It is applied to both the donor and recipient regions so as to avoid pain during the surgery. The healthy hair follicles are harvested individually from the donor vicinity; that means the extraction of one hair graft at a time takes place in FUE. The removed hair follicles are then transplanted in the recipient area, providing full coverage to baldness. • Medical records of the patient and predicted effects. However, an experienced surgeon can give a close feedback depending on the condition of your scalp hair & baldness level. Medications are mandatory as per the requirements of the patient. A certain time period is needed to let the wounds and scars get healed. The chances of losing hair are also predominant, which gets lessened over a period of 5 – 6 weeks respectively. The hair transplant doctors in big cities do recommend FUE as it imports lesser scars and involves no stitches. It hardly leaves a major impact by which the patient feels uncomfortable. Most of the cases related to hair transplant in Ludhiana are done through FUE hair restoration technique. In order to know more about Hair Transplantation, please log on to the website of FCHTC and get the complete details. How to Prepare for Hair Transplant Surgery? So you’ve had a serious discussion with your doctor about hair transplantation and now you are all ready to take your steps towards the journey called hair transplant. But are you sure that you are ready to appear for the surgery? We guess no; why? Hair Transplant surgery is not a small treatment procedure. Well, it might look one but it is one of the most critical surgeries ever and a little mistake on the part of both the parties (the doctor or the patient) will make you land in a pool of troubles. We believe that the surgeon should make a chart for you that will be having the set of rules and regulations that you will have to follow before & after the surgery. You yourself must be willing to do so as well. In this blog, we will outline few rules & regulations for you to follow in case you are one of those hair loss/baldness sufferers who have decided to go under the knife. • Stop Smoking: We know smoking kills; however, we hardly care to stop smoking. But, do not even dare to have this attitude if you are about to go for hair transplant surgery in next few weeks. Stop smoking right away. If you are holding one right now, throw it. Smoking will delay the healing of wounds after the surgery. It also reduces blood flow to the skin which later might create havoc with the surgery. So stop smoking at least two weeks prior to the surgery. You can stop it earlier as well to get good hair restoration results. • Massage Your Scalp: Massage your scalp every night before heading the bed. Make use of oils like coconut oil, almond oil or argan oil. Massaging the scalp will result into improved flow of blood to the scalp; thereby promoting the healthy growth of hair in the follicular units. It will also help you in relaxing. • Get Tested: If you are 45 years or above, we will advise you to have a thorough check up session with your physician. Get your blood sugar levels, blood pressure and ECG checked and consult the surgeon properly, so that you can get the green signal for hair transplant surgery. • No Blood Thinners: Say a big ‘NO’ to the blood thinner, especially before two weeks of the surgery. Blood thinners might interfere with the surgery; thereby causing excess of blood loss which will hamper your overall health. • Do Not Go for a Hair Cut: Do not indulge yourself with hair trimming two weeks prior the surgery. Though the surgeon will shave a small portion of the hair in order to grow the follicles, but that will be done on the day of surgery. It is advised to let your hair grow naturally so that it can hide any cut or scar which will be left behind as a result of incision. • Hair Loss Medication: You will be advised to take medicines for hair loss so as to curb any further loss of hair before the surgery. • No Alcohol: If you have the habit of consuming alcohol, stop it right away; or at least a week before the surgery. • No Sun Exposure: Do not expose your scalp under the harsh rays of the sun. Be clever and carry an umbrella or wear a hat to avoid your scalp from getting sun burnt. • Stop Supplements: The surgeon whom you are consulting with, will tell you to stop popping in any vitamin or antibiotic supplement that you have been taking until now. • Hair Dye: You will be advised to color your hair brown or black if you are going for the robotic treatment to harvest the hair follicles. This you will be advised to do three days before the surgery, as it will allow the robot to identify the hair follicles easily. • Head Wash: Wash your hair using a mild shampoo on the day of surgery. Do not make use of leave in conditioner or hair serums on your hair apart from the shampoo. • Avoid Caffeine: It is best advised not to consume any caffeine before the surgery. Only consider having a plate of light lunch or breakfast. Lastly, before wrapping up, we will advise you to get your surgery done from the hair transplant surgeon who is a master in this field. We’ll recommend First Choice Hair Transplant & Cosmetics Clinic in Ludhiana for hair transplant surgery. This clinic is well-known for achieving high success rate in the hair transplant results. 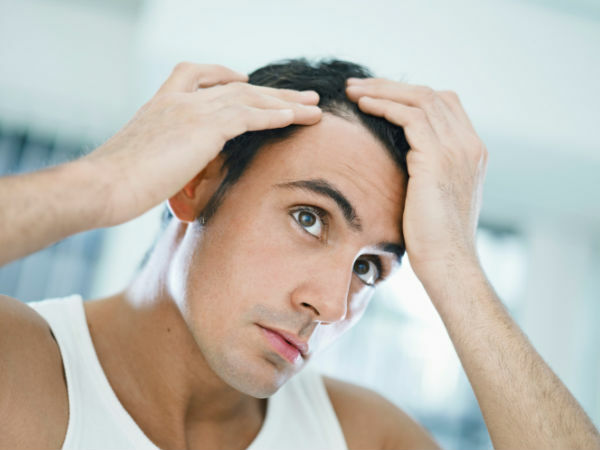 Hair transplant is a commonly used procedure for the treatment of excessive loss of hair. But since it is a surgical process, people should be careful enough before they decide to go for the same. Hair transplant is a complicated process and a doctor’s consultation is must for the patients who want to go for this surgical hair restoration process. Physical health is a very important aspect; and it is one of the major aspects which determine the next course of action. Examining the general aspects of your physical health is extremely important, because a good physical health can help to have a speedy recovery after hair transplantation. Medical history of a patient determines the natural complexities associated with any surgical procedures. Therefore, it is imperative that a hair transplant surgeon must be aware of the medical history of the patient before hair transplantation surgery takes place. The surgical impacts can be seriously effective in case the patient has a complicated medical history. This is again a very important process, which needs to be undertaken before a patient undergoes hair transplant surgery. 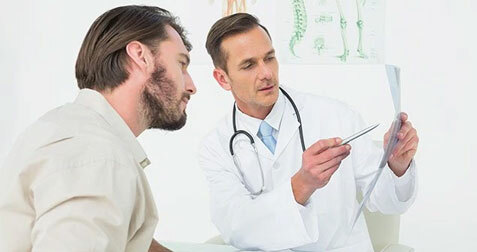 Hair examination pattern takes into consideration, checking on hair density, skin type, elasticity of the skin, hair loss causes and hereditary hair loss patterns for the hair transplant candidates. 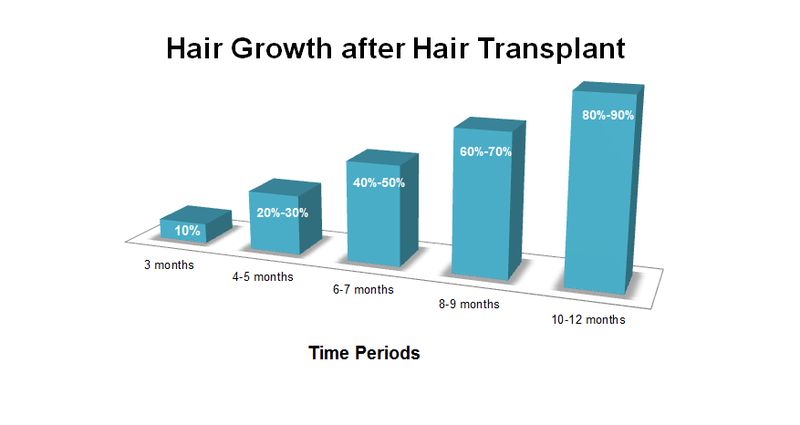 All such aspects have a long term impact as far as hair transplantation is concerned. The patients should inform the surgeon about the medications they are taking. Regular medications are a deterrent and can cause several side effects, especially in the post-operative phase. So the patients should always brief the surgeon about the details of medicines being consumed by them. Some patients are prone to allergies while consuming certain medicines. Therefore, the patients are advised to brief their doctor on such symptoms, so that proper care can be taken in the pre-operative & post-operative stages. Normally, the qualified surgeons gauge the complexities of a surgical process, prior to execution. Risks are an important part which needs to be understood prior to conducting a surgery. Experts suggest that, although hair transplantation is a safe procedure, still different patients may have different impacts. These impacts can be related to their physical health, medical history etc. Therefore, the possible risks should be evaluated before you decide to go for the surgical hair restoration procedure. The final step is to prepare the patients for the surgery; in which the hair transplant doctors guide the patients about the pros & cons of the procedure and the patients are supposed to take a note of it. They should be prepared to shave their heads, get good sleep and have nutritious food. The FCHTC team of experienced surgeon & technicians direct each effort precisely so as to achieve outstanding outcomes. They follow a systematic approach in every case, taking care of the patient’s individual requirements. Therefore, you don’t need to worry about your hair transplant results in case you have opted for FCHTC clinic for your hair transplant surgery. Adapt Some Economical Practices & Say Good Bye to Hair Fall Concerns….! 70% of Women Experience Hair Loss – How to prevent it? 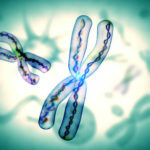 Does Male Pattern Baldness Really Skip Generations? Dr. Rohit Garg is a well-known hair transplant surgeon, providing state-of-the-art hair restoration procedures at First Choice Hair Transplant & Cosmetics- Ludhiana, Punjab. He is highly qualified (MBBS, MS) and has vast experience in performing hair transplant surgeries like FUE, Bio FUE, FUT etc in a very efficient way.